These items can be purchased at the Historical Society in Westphalia or purchased by mail. Many of our items are also available next door at the Little Flower Market. 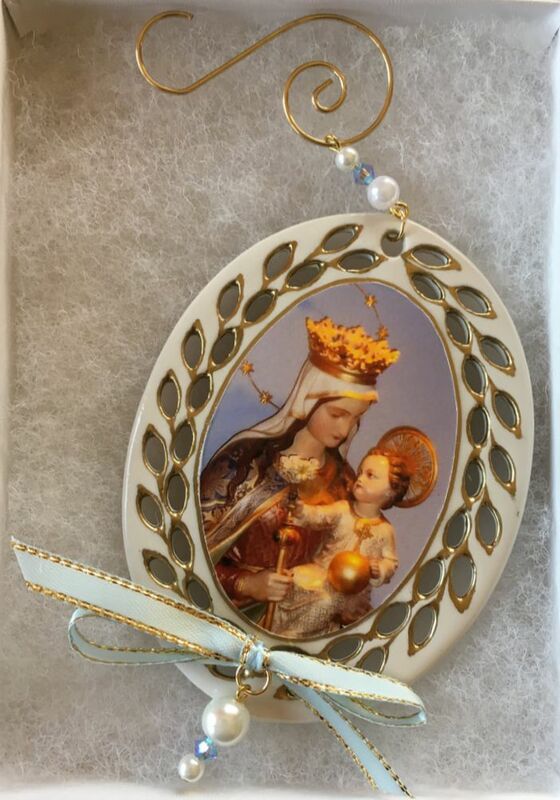 This year's ornament is in of the Our Lady of Westphalia statue. Footage by Fr. Gutha of the 1936 Centennial and from the 125th anniversary in 1961. 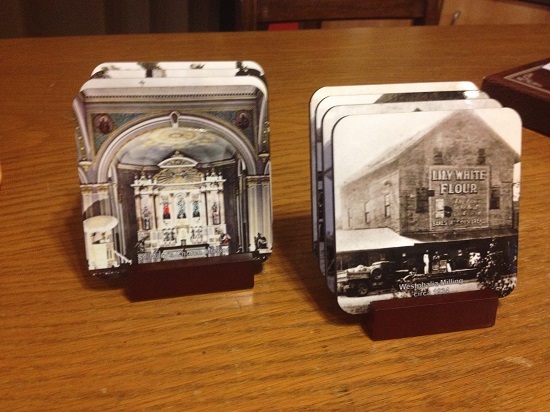 Choose between a set of pictures of churches past and present or businesses from the past. You could purchase both, if you like of course. The set comes in a wood stand. This book remembers the 87 young Westphalia area women who entered the convent. 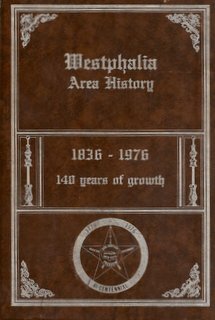 This book not only tells of Father Anton Kopp and the other founders’ arrival in Westphalia in 1836 making this the first German Catholic Settlement in Central Michigan, it also highlights the history of some 300 families from Abfalter to Zimmermann who came to Westphalia between 1836 and 1924. There are also many memories of the past as told by community members as well as photographs (old and new) of the people, our Church, school, farms, businesses, etc. Available for $23.00 each, or $20.00 each if purchasing multiple copies at once.